Business lunches in the city can be the joy of a working week. Having finally found a day when none of us had conflicting meetings (and no last minute interruptions either) we found ourselves at Papa Goose. I had looked at booking Papa Goose for a function last year. The party never went ahead but I was impressed by the professionalism of their staff, and of course the appeal of their menu. I had wanted to visit Papa Goose for months and finally had the opportunity to try it last Friday. 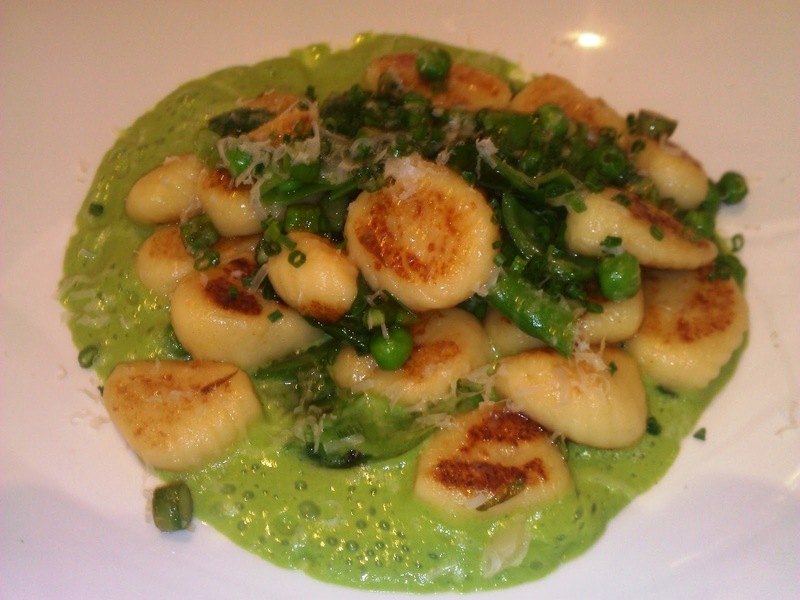 The $30 lunch special always has a vegetarian option – usually a version of gnocchi judging from their past menus. On Friday it was pan-fried gnocchi with peas, snow peas and asparagus. I love gnocchi, especially when it has been pan-fried. The flavours were subtle but interesting. 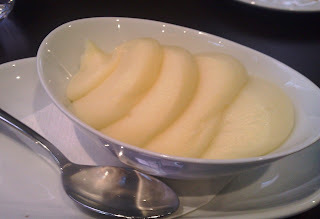 The lunch special also includes a side of salad or potato mash, a glass of wine and tea or coffee. The mash was simply but beautifully presented in waves. To drink I chose a glass of the Carleo Estate shiraz (also part of the lunch menu). It had strong fruit and wood tannins with the slight taste of cherry which became stronger as it opened. 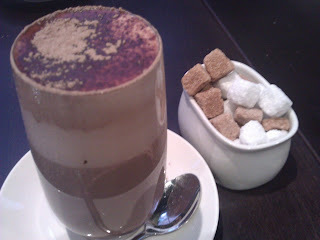 I finished it off with an artistic hot chocolate.